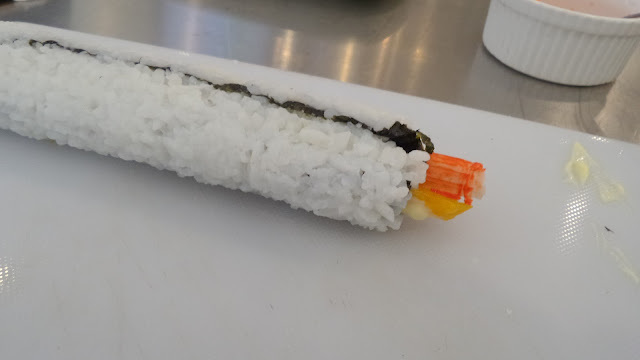 I've been holding on cooking or preparing Japanese dishes for a while now, well actually ever since I fell in love with it on my first sashimi bite, it was a bit disappointing though. 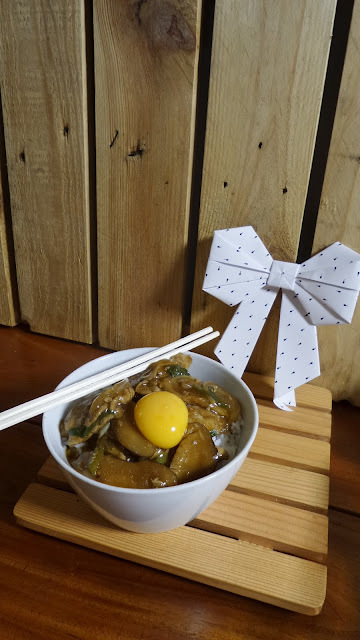 I've been flicking over some of the recipes I've featured in this blog and it wasn't evident of my true preference for Japanese cuisine. I mean my family share that same infatuation however, they never asked for me to cook it, probably I've been feeding them enough with Italian dishes. Hahaha, or they'd rather eat at our fave Japanese restos. 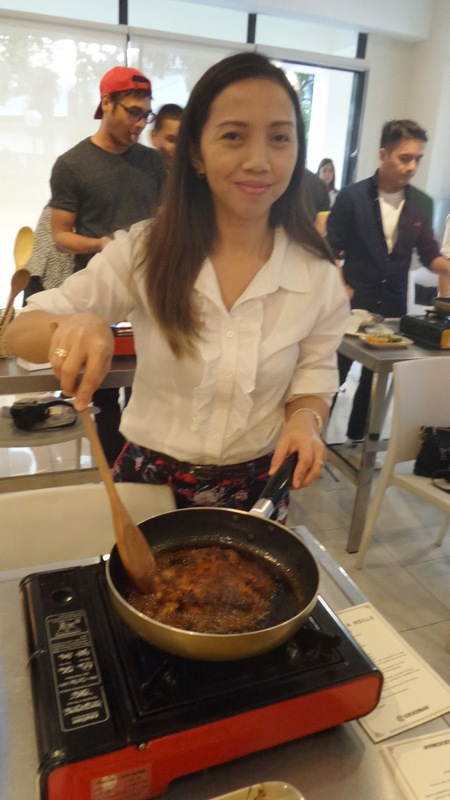 No, I didn't had the courage to cook it by palate at home, nor did I enroll in a cooking class (though I've been meaning to), cause I do believe that despite the art in it, science also plays a part. Japanese cuisine is more about the clean and balanced taste, a soiree of flavors in a single spoonful, or should I say chopsticks. Instead, I took heed in an invitation from Kikkoman Philippines for KIKKOMAN: 25MUSHROOMS KITCHEN 1st BLOGGER CLASS. Hence, let me share you one of Japan's best secrets. 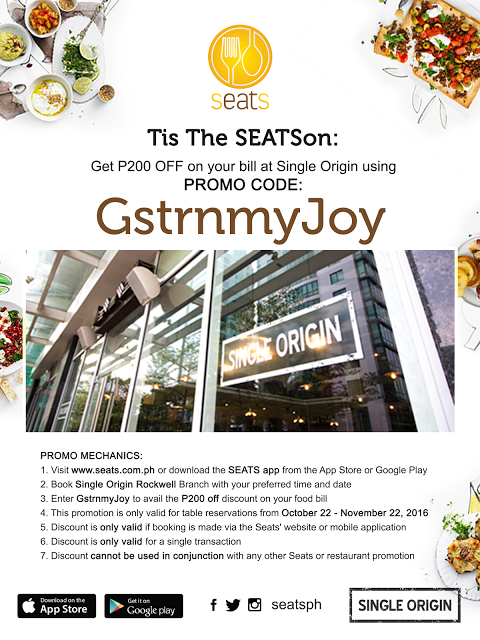 Well, it's not so much of a secret as most of the Japanese restos in the metro uses it. For centuries, Kikkoman remains unparalleled, and this is the result of its meticulous, natural brewing process. 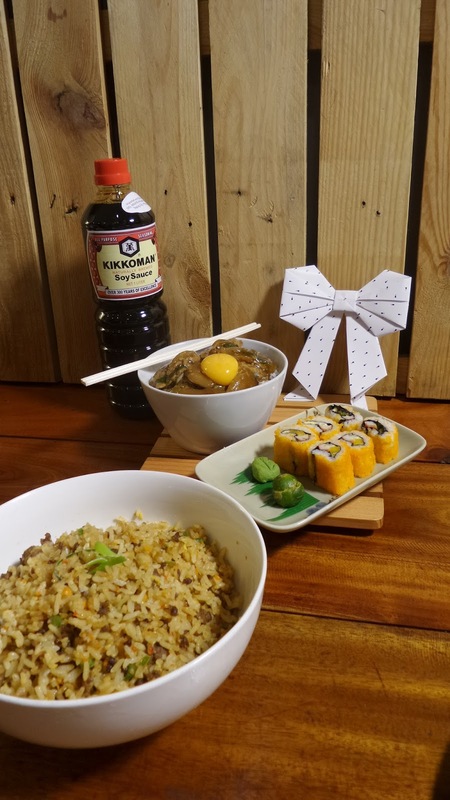 Kikkoman is not just authentically oriental; it’s also one with the highest quality, made with time-honored traditions that go as far back as the 1700s. 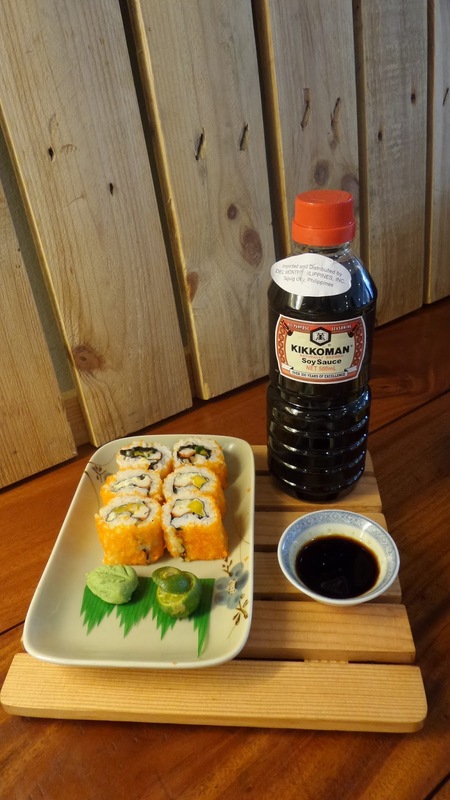 Kikkoman Corporation continues its excellence in producing soy sauce until today. With the aim of making soy sauce a preferred seasoning in kitchens worldwide, it still remains faithful to the tradition of naturally brewed soy sauce. With over three centuries worth of dedication to time-honored methods, painstaking selection of only the finest, purest and determination to maintain its authenticity, quality and flavor, Kikkoman is poised to bring to the world its status as Japan’s number one soy sauce. In the event, not only did we knew about how this well-loved brand have been developed, we realized that it matters to know your soy sauce. Also, I've known Kikkoman as a dipping sauce for maki, sashimi and sushi, but let me put a stress on the fact that you can and ought to actually use Kikkoman Soy Sauce in your cooking as it enhances the "umami" taste of the dish you are making. 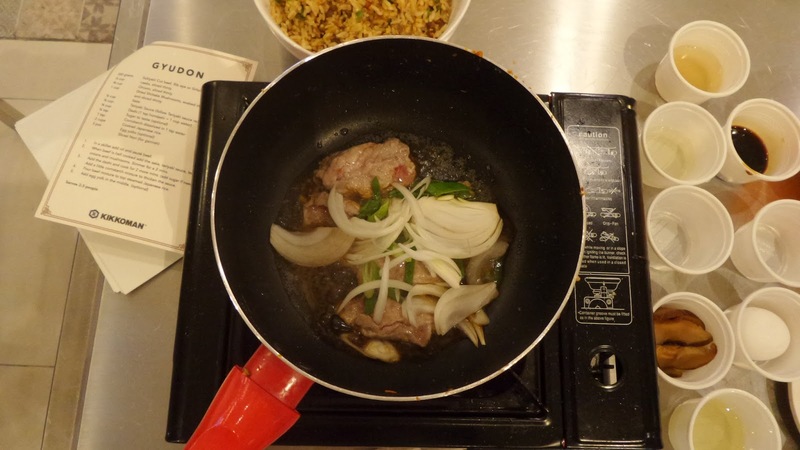 Speaking of dishes, we were taught by 25Mushroom Kitchen's Chefs a number of best-selling resto grub to make on our own. So, Yey! 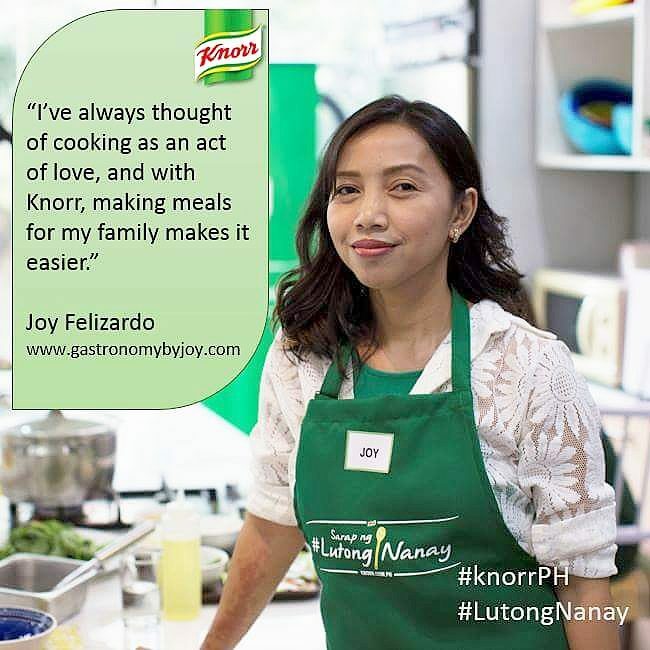 I can now boast of these fancy-smanshy recipes to my family. 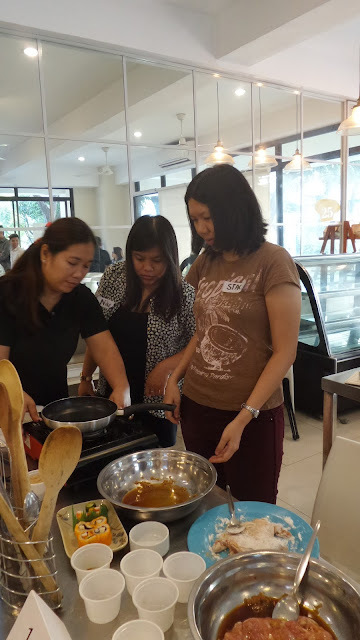 Chef Sari and Chef Margaret started the workshop with how to make coffee jelly. But what I was so giddy of was how to make maki. In this case, we made California Rolls. Neither did I realize how fun it is to make some. 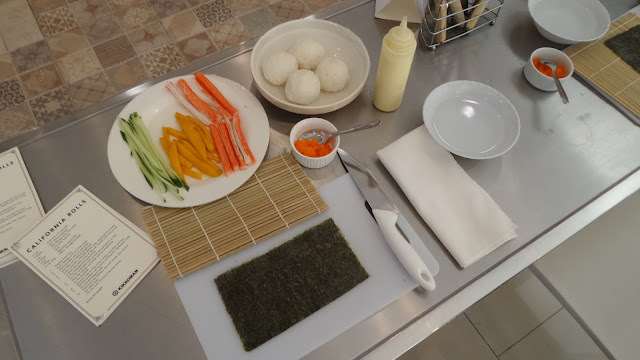 Here are the essentials in making this quintessential Japanese food, prepared sushi rice, ripe mango, cucumber, kani and nori. Oh yeah, I remembered, I was silently singing Rolling in the Deep while rolling the mat away from the roll. Will do a separate post on how you can easily whip this up at home. So stay updated! The next dish we prepared was Chicken Teriyaki, but before that, the lovely chefs taught us how to debone a chicken leg to have that bigger size Teriyaki. I never deboned a chicken in my life, I always buy the ones without the bones thinking I might not get the right amount of meat off the bones. But what do you know, one trial was a success! 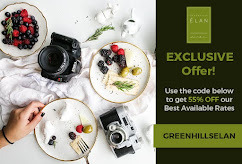 There are many steps in creating this dish, and yes, you need to stick to the traditional technique to get that authentic taste. 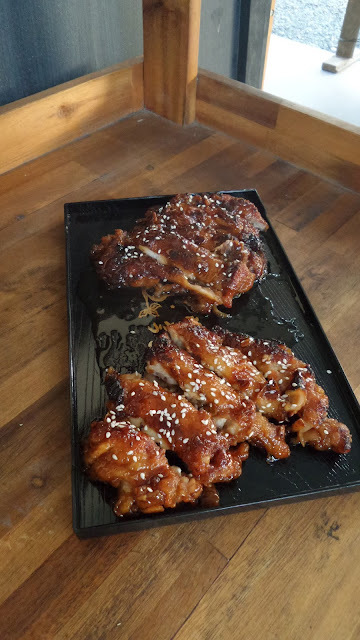 In the recipe we used Kikkoman's Teriyaki Sauce. 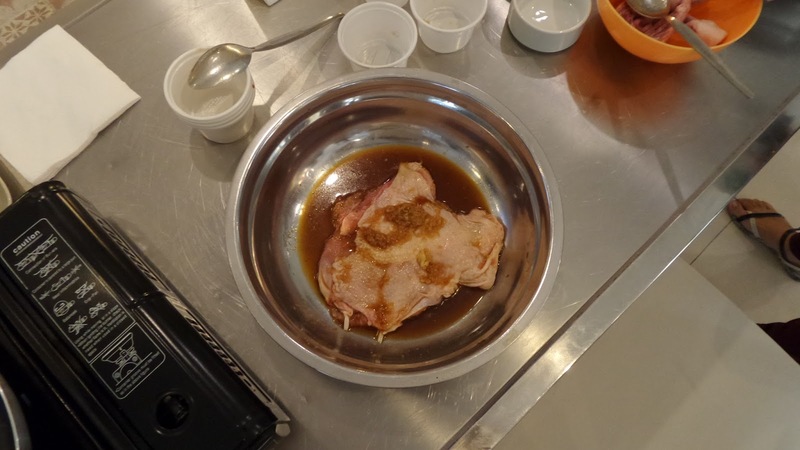 First, you need to marinate the deboned chicken for at least an hour, then, you need to drench it in flour mixture, after which you need to fry it in little oil. 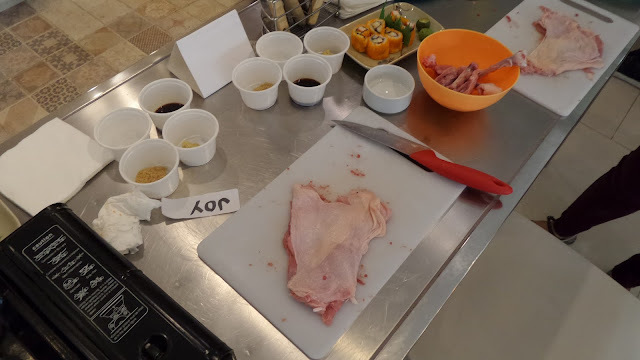 Once the chicken is cooked you can put the pre-mixed sauce and allow the sauce to caramelize while it infuses in the meat. Above is my seat-mate, Stacy of Tsinoy Foodies starting to cook her chicken, and Nike and a staff from 25 Mushroom Kitchen assisting her. Was happy to have shared the table with her. 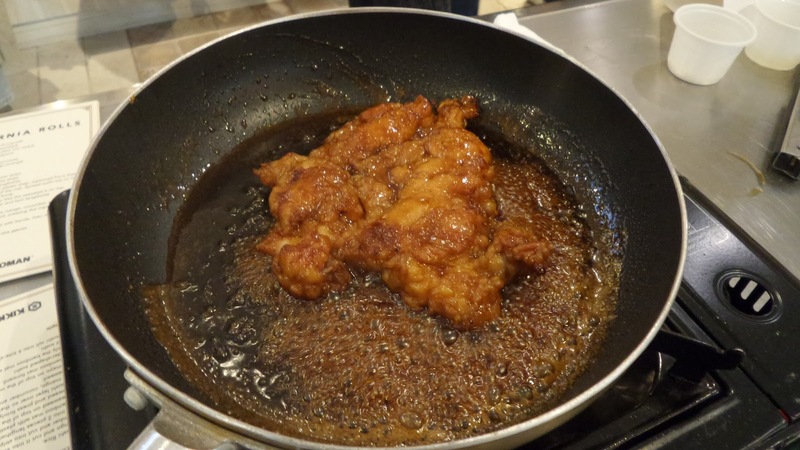 Check out how my chicken is frying, if I could just share you how appetizing the aroma is, it was like a whiff of caramel and soy sauce conglomerated, as the sauce sizzle on the pan. Stacy's and my finished Chicken Teriyaki! Doesn't it look like the ones you get to order in the restaurants? Well, I believe I have earned my bragging rights here, after, I used the world's best soy sauce. 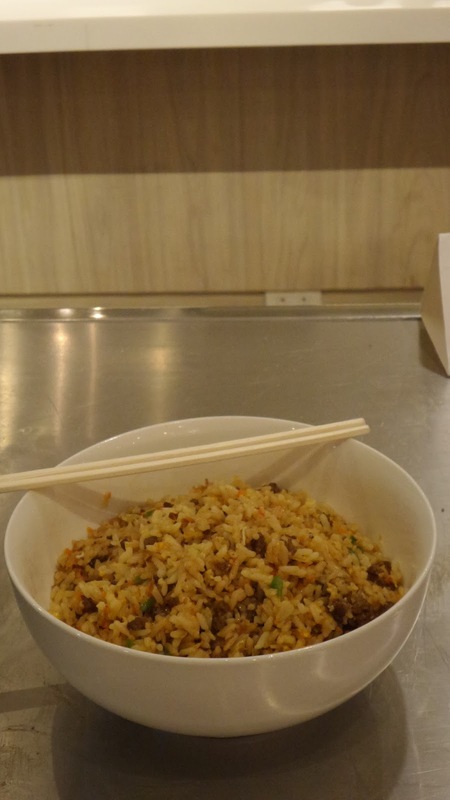 What better way to eat your Chicken Teriyaki with- Japanese Fried Rice. Simply known as "beef bow" in Japan, this hearty bowl of a meal consists of Japanese rice topped with simmered beef and onions. To make this, authentic Japanese ingredients are a must and the secret ingredient is Kikkoman's Teriyaki sauce. Here it is! Eat this while pipping hot and don't forget to top your donburi with egg yolk. It was an umami-ful afternoon of sense-awakening and kitchen discoveries and what's next for me is to reveal more dishes using my favorite soy sauce in the comfort of my own kitchen. So believe me when say that Kikkoman Soy Sauce is definitely more that a dipping sauce. It's now part of my kitchen staple, and may I suggest it has to be part of yours too. Kikkoman Philippines and 25 Mushrooms Kitchen is giving away giving away 25 Mushrooms Kitchen passes worth Php 1,500. 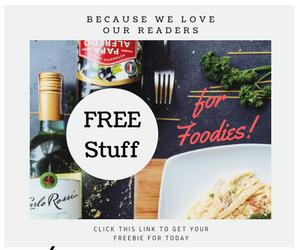 If you love to cook and like to be educated more. then, you are eligible to become a winner, which we will randomly choose. * you may copy paste and fill up in the comment section below. 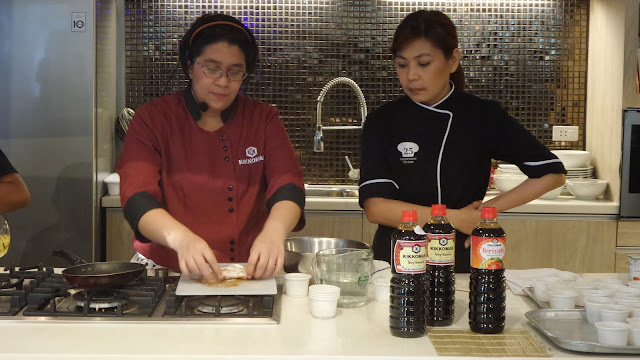 Will be waiting for your responses, can't wait to see you experience cooking with Kikkoman Soy Sauce.